Or as low as $19.00 per month over 12 months. Apply Now. The Sony marine package includes the Sony DXS-M5511BT digital media receiver and a set of 6-1/2″ marine speakers, allowing you to enjoy all your favorite music while you’re out on your boat. 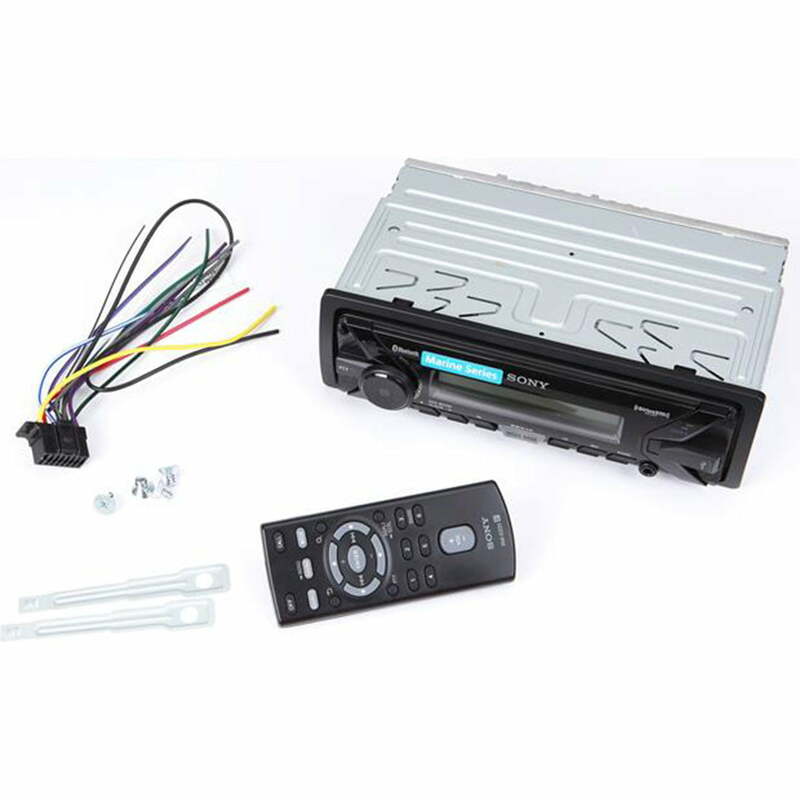 The receiver’s built-in Bluetooth® and handy front USB input give you plenty of ways to play your tunes, and the rugged, marine-ready speakers will give you tremendous sound for seasons to come. 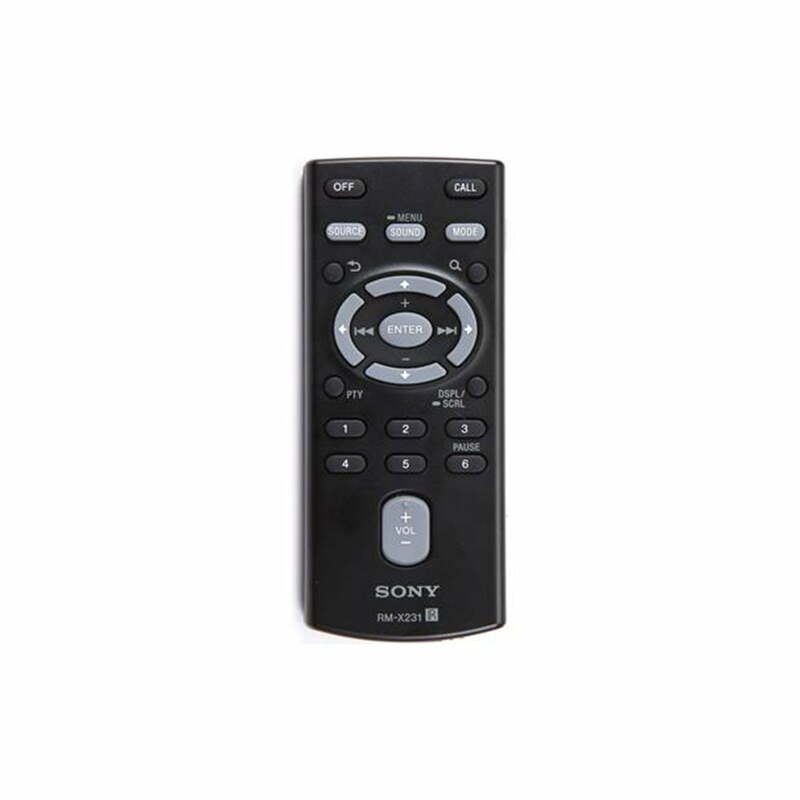 Built-in Bluetooth offers Simple Secure Pairing, so you’ll be streaming music and taking calls on the built-in microphone in no time. You can also plug your iPod®, iPhone®, Android™ smartphone, or other device into the front USB port on your Sony DXS-M5511BT and play your favorite MP3 or WMA files while charging the device. You can also enjoy your favorite Pandora playlists from your phone. 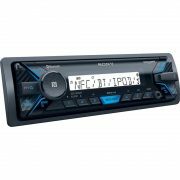 You can also add a SiriusXM satellite radio tuner (sold separately, subscription required). Satellite radio offers an unparalleled variety of music, news, sports, and talk, and your favorite channels will stay with you, even when you’re miles offshore. No wonder it’s a feature more and more boaters are looking for. 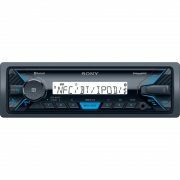 The Sony Sony DXS-M5511BT features a built-in amp that’s designed to produce plenty of power without noise or distortion. You can also customize the sound to suit your musical tastes using the built-in 3-band equalizer. If you like bass-heavy music, Sony’s Mega Bass really brings the beat. 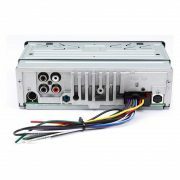 And the front and rear preamp outputs will come in handy when you expand your system. The display shows song title and artist info, then gives you caller ID when you get a call. The intuitive front panel is easy to learn, but you can use the included remote or a Sony wired remote control (sold separately) when you’re away from the receiver. 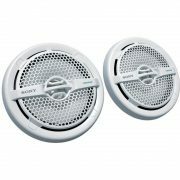 Marine speakers need to sound good, but they also need to stand up to sunlight, wind, and weather. 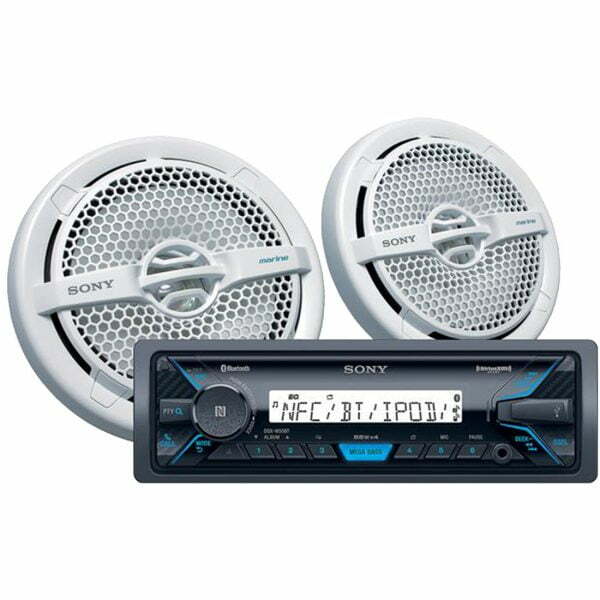 These 6-1/2″ Sony marine speakers definitely sound good, and they’ll handle up to 65 watts RMS. The durability side of things is ensured by UV-protected components and a water-resistant design. 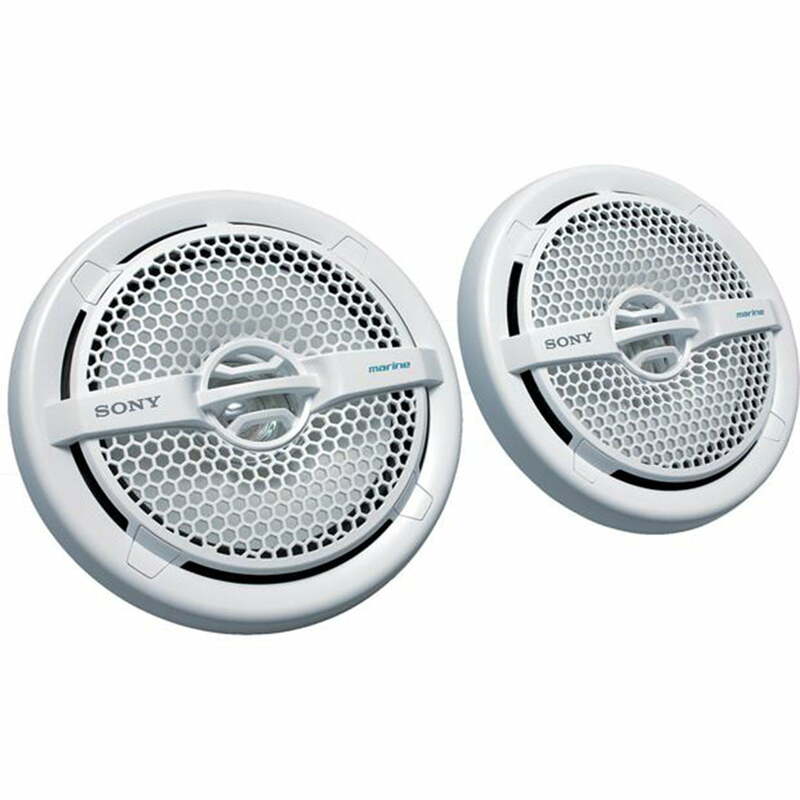 The sharp, stylish grilles stand up to punishing UV rays, so these speakers will look and sound terrific for seasons to come. Don’t like white? No problem, the grilles are paintable, so you can customize the look to match your style. Installation note: This Sony DXS-M5511BT marine radio is water-resistant, but we recommend mounting it in a water-resistant enclosure or using a cover for best performance. 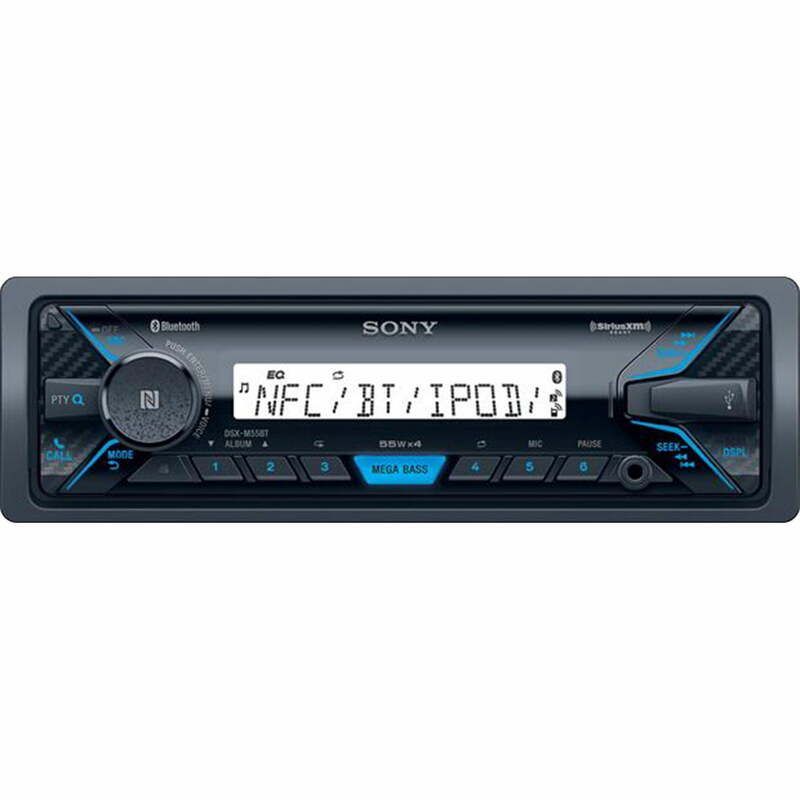 Bluetooth note: Use of this receiver’s Bluetooth features will depend upon your phone’s Bluetooth capabilities.